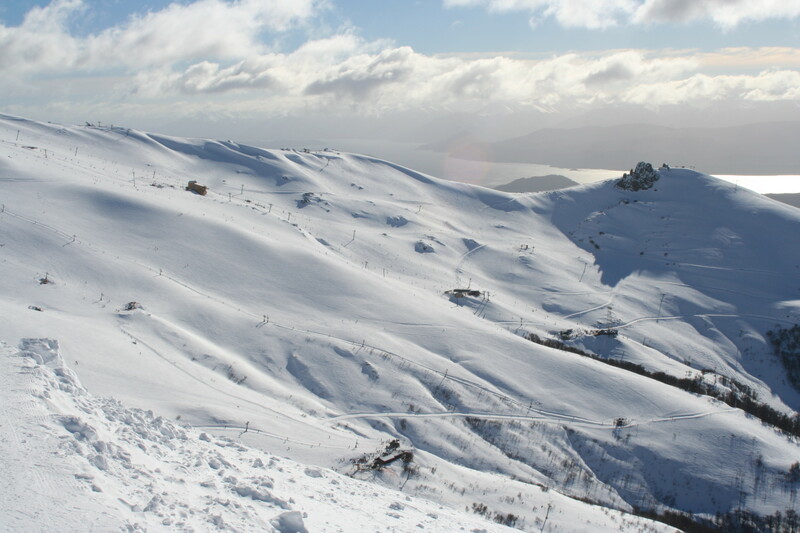 Catedral Alta Patagonia resort, near Bariloche in Argentina’s Lake District, is South America’s most developed ski resort and the only resort with a full-service base village. The terrain is highly varied, and there are more than 40 lifts to access 1,480 skiable acres, including the new La Laguna that takes skiers to backcountry chutes and bowls. Catedral is known for deep powder, excellent tree skiing, and easily accessed off-piste terrain, and although the resort’s location and lower elevation means the base area can be patchy, the resort has invested in snowmaking equipment and added or modernized lifts to the upper limits at 7,000+ feet. Storage facilities, equipment rentals, retail shops, equipment repair services, lessons.